Sometime in 1923 a male child was born in the Island of Jamaica. He went onto being one of the greatest Blues Players of our time. 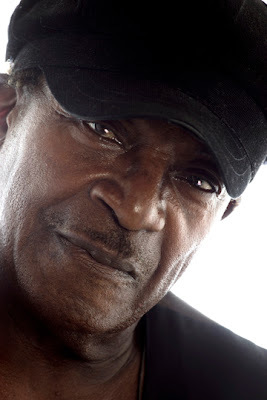 Yesterday in Tampa, Florida Eddie Kirkland was killed in a car crash. Eddie’s gone but the music will go on forever. My dear friend Bobby Kyle introduced me to Eddie several years back, I had an opportunity to not only photograph him but my son Dylan was able to shoot some great HD footage on him – some pretty powerful stuff. The world has lost another great artist. Our prayers go out to the Kirkland family. This entry was posted in blues musician, music. Bookmark the permalink.